But It's Too Nice to Use! 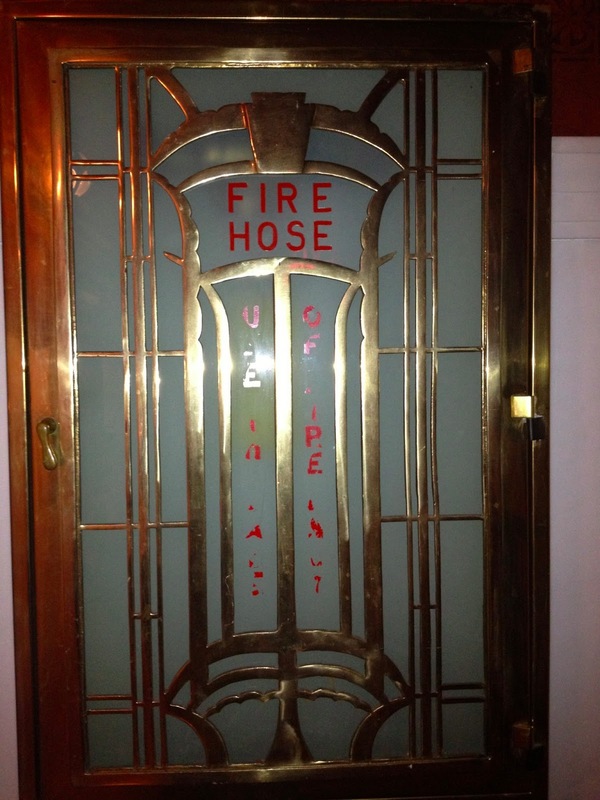 When you love old things, and you want to use them, you also need to care for them. Clean them. Restore them. We live in an easy-care, no iron, no fuss world today. Everything gets tossed into the washing machine and the dryer, and it's so easy we wash everything each time it's used, even if it isn't really dirty. Our fore-mothers didn't do that. Laundry was a chore that took up a full day, or more, of labor. 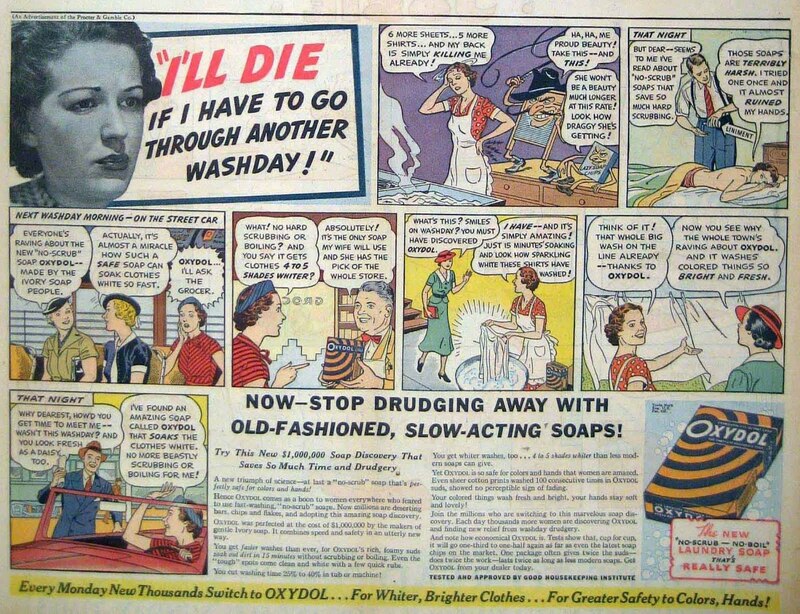 Don't throw that blouse in the wash! You only wore it a few hours! Air it out and wear it again! But because they did take on the heavy work of caring for their clothing and their linens, they had the right equipment for it. Vintage irons are heavier and they get hotter, so they do a better job with pressing cotton and linen. Nothing touches Fels Naptha for working on stains gently. 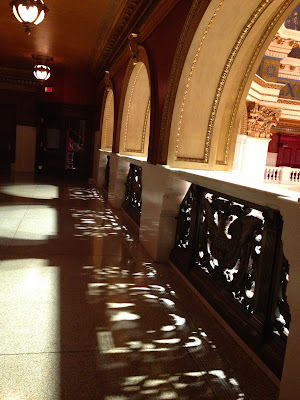 Today was one of those gorgeous sunny days of early spring. The air was cool, but the sun was bright and warm. A perfect day for hanging laundry outdoors in the sunshine. 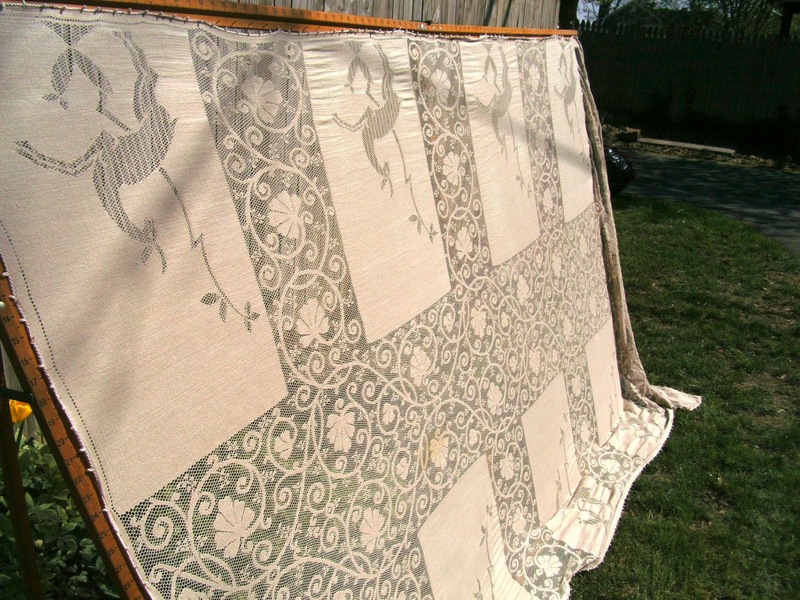 And a perfect day for blocking and stretching my vintage lace tablecloths. Because I have the right equipment for it. I own a genuine Quaker Curtain Stretcher. 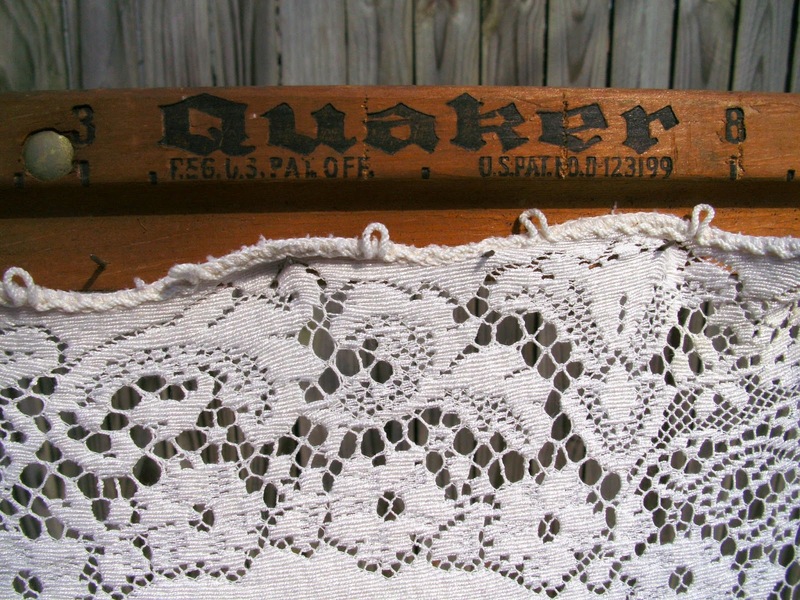 Back in the early part of the 20th century when cotton lace curtains (often from the Quaker Lace Company) were common in every window, those curtains got washed, starched, and stretched at least once a year. Today, my lace curtains are mostly easy care and go straight from the wash to the pole and just hang to dry, but my vintage Quaker Lace cotton tablecloths have to be blocked or they don't fit my table anymore when they dry! Just like a cotton sweater draws up as it dries and has to be blocked back into shape, cotton lace will draw up. 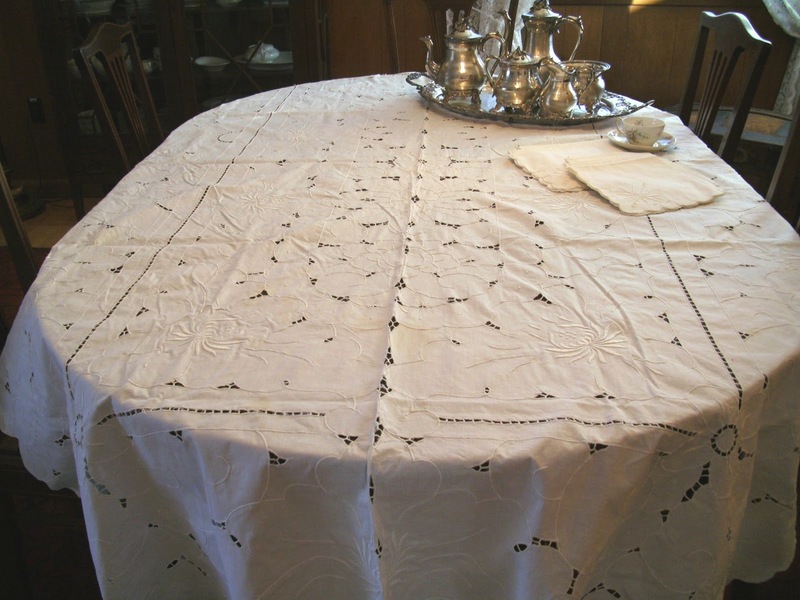 My tablecloth will lose as much as 5 or 6 inches if I don't block it. So I hauled out my Curtain Stretcher, which is really just a big wooden frame (helpfully marked off in inches) with rows of needle sharp nails all the way around. It's adjustable, and you impale the edges of the tablecloth on the row of nails, and carefully s-t-r-e-t-c-h the lace and across the frame until it's square and taut. And then let it dry in the sunshine. 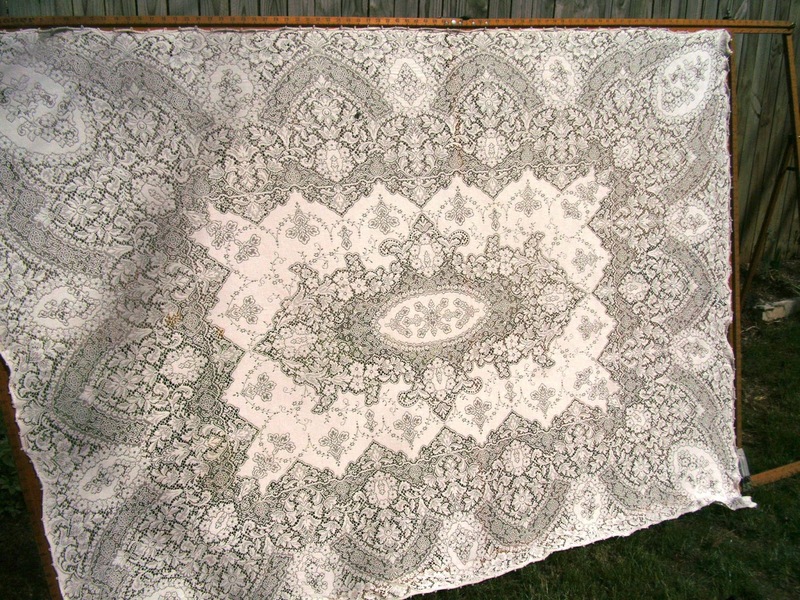 Sure, it takes longer than throwing the tablecloth in the dryer, or even hanging it on the line (where it's impossible to get it blocked and square), but nothing looks better than a real cotton lace tablecloth. It was worth it--if only because it gave me the chance to explain just what the hell I was doing to the houseful of college girls who live across the alley from me. I love having the right equipment! My passion is textiles. Fabric. Linens. Cloth. 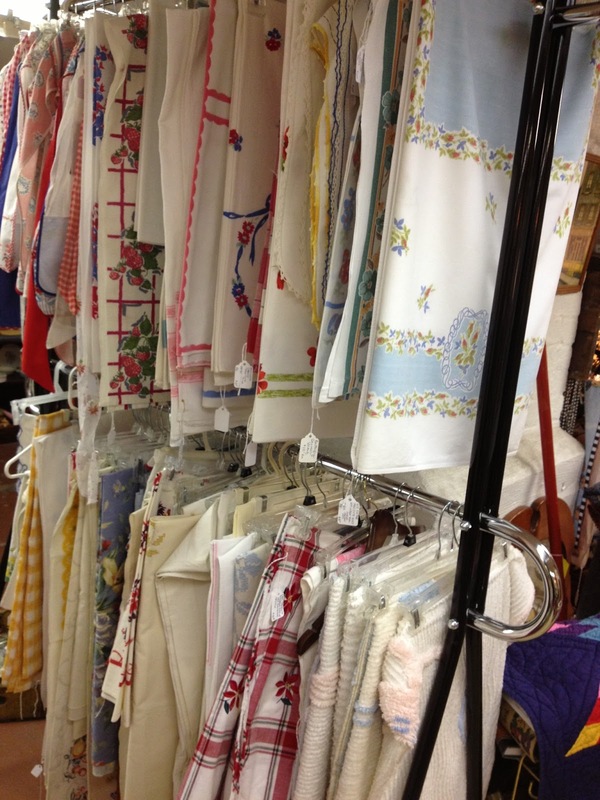 I love antique and vintage clothing, table linens, anything made of fabric. 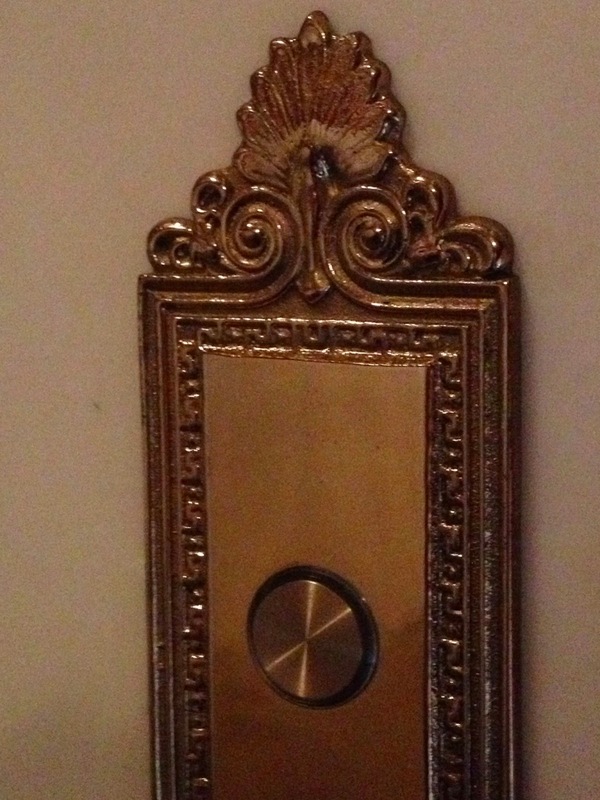 But I also appreciate good design, no matter what the medium. 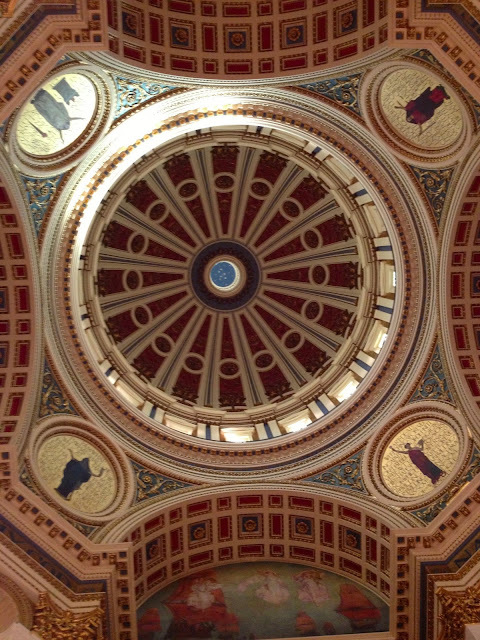 This weekend, I've had the privilege to spend three days with a group of high school students (my other job is as a teacher) participating in a youth government program at the Pennsylvania State Capitol. 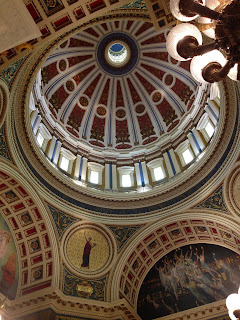 It's one of the most beautifully decorated buildings of its kind in the nation, and I have not been able to resist photographing some of its beauty. From the enormity of its rotunda, to the smallest detail, the building is an exemplar of beautiful design. 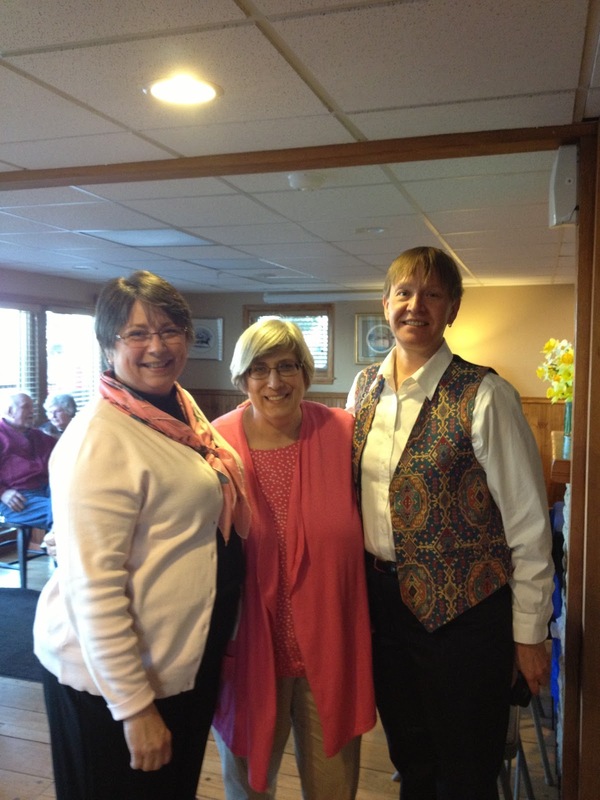 I headed to Morgantown, West Virginia this weekend for a wonderful reunion with two women I worked with at my first "real" job--over 30 years ago! While Melanie, the woman who had been my boss, still worked at the University in a position similar to the one she held when we all started, Betsy and I had gone in very different directions. We had not all been together for 30 years, and it was wonderful to share stories and realize how strong an influence we had had on each other's lives. 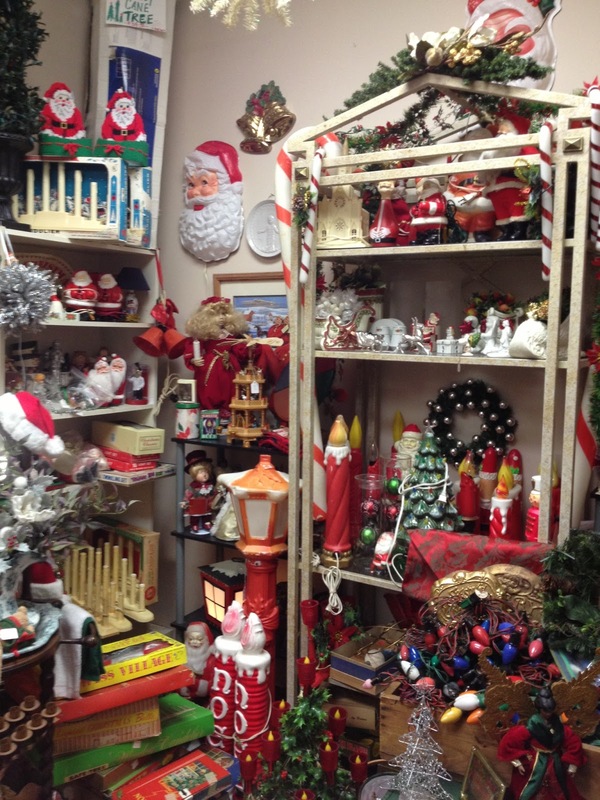 But I digress from the focus of this post--Junkin' in West Virginia. Sigh... it was the best of times, it was the worst of times. I had imagined it would be a wonderful opportunity to discover some real vintage treasure at rock bottom prices, but it was not to be. 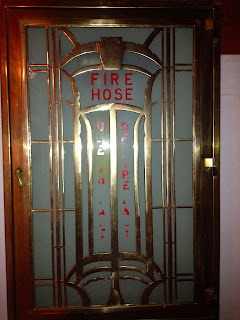 Saturday, after several hours spent on Google Maps trying to find antique and thrift stores along my route to West Virginia, I stopped at several. 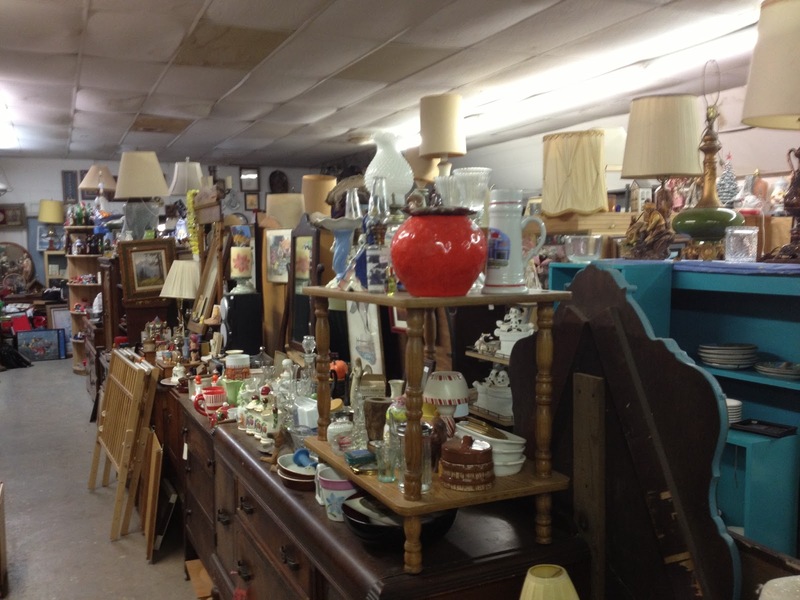 Here's a hint: If you're going to charge Lah-De-Dah Antique Store prices, you should probably make sure your inventory isn't caked in accumulated dust and dirt and faded from sitting in the sun. Eye Candy, but Too Expensive for this Junker! 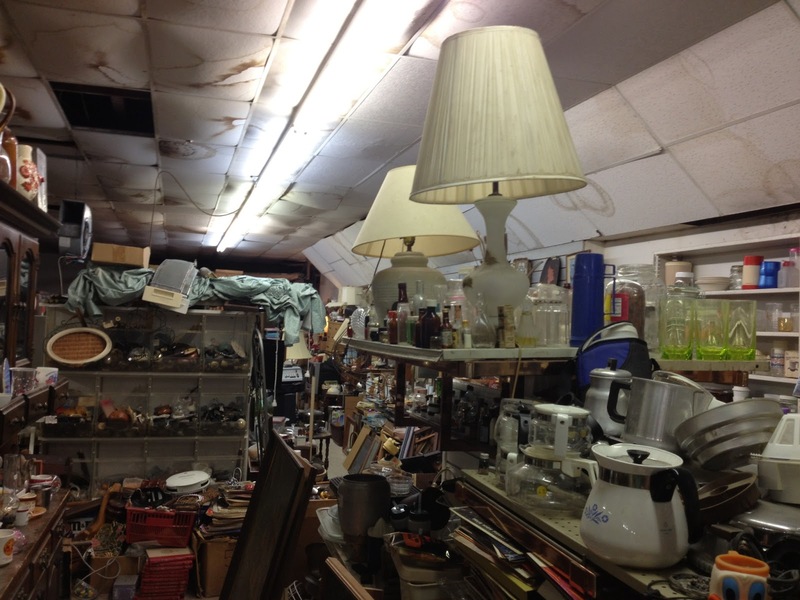 The bright spot in the day was a stop at "Bubba's Garage." Bubba's got himself a little bit of a hoarding issue. The store is nearly ceiling high with furniture and electronics and Junque (which Dear David, my husband, pronounces "Joon-a-Q"). Sadly, Bubba isn't much into fabric and textiles, but if I had a panel truck and my own shop, I'd have filled up with Mid Century Modern lamps and furniture. I had high hopes for Sunday morning, having found an advertisement for the Blue Horizons Flea Market just north of town. I followed Route 19 as it curved through the countryside, and then up a very steep grade to a location sitting at the top of a hill. 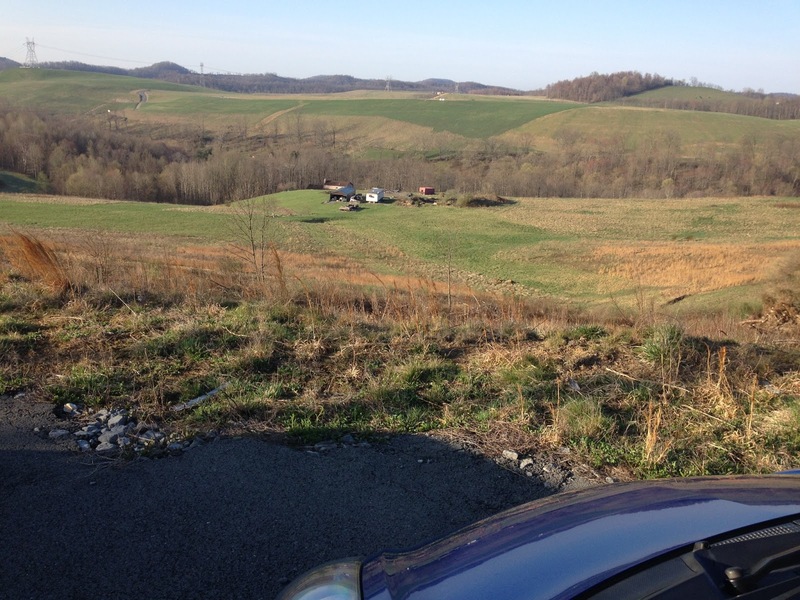 If you know West Virginia, you know that EVERYTHING is either straight up or straight down, and that setting your parking brake when you leave your car is ALWAYS a Good Idea. Don't forget the parking brake! It's straight DOWN! Coming around a corner in the outside vendors' area, I saw a young man sitting next to a huge cooler with a sign proclaiming "Hillbilly Lilies." At first I was puzzled, but then I heard him cry out, "Ramps 'R Up!" And then I remembered. Ramps are a very pungent (they STINK!) kind of wild leek. They are actually a member of lily family, botanically speaking. In the Appalachians they are a particular delicacy, with Ramp Festivals a Big Deal. I was going to snap a picture of the Hillbilly Lilies sign, but the young man sitting next to it did not look like he'd take kindly to some Flatlander Woman taking his picture. 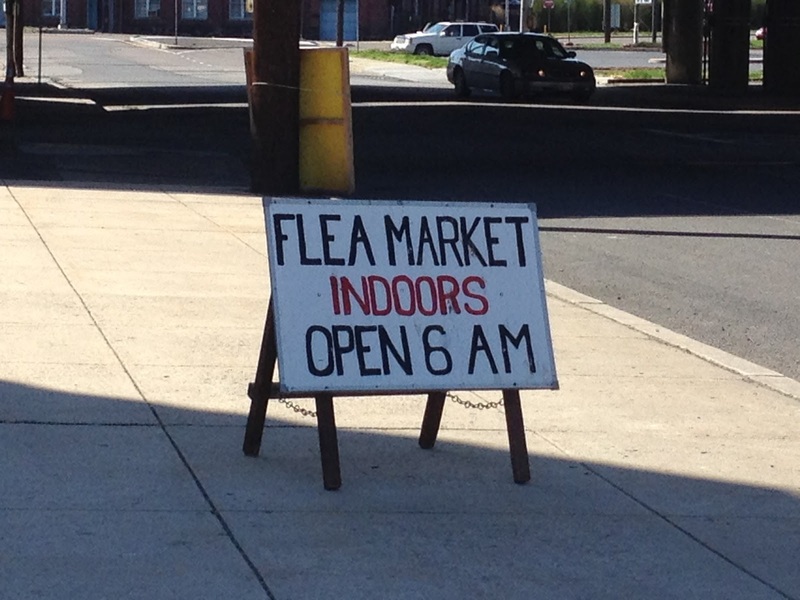 Instead, I took a picture of this sign I found at the next Flea Market I stopped at. Sadly, the only interesting thing I found at the Blue Horizons Flea Market (other than the aforementioned ramps) was a wonderful collection of architectural salvage. I was sorely tempted, but the vendor would only deal with me on price if I bought the whole lot. He wanted more cash than I had with me, and the nearest ATM was about 5 miles away. I'm still kicking myself on that one. Note to self: ALWAYS bring more cash than you think you will need. Back on the road, I came across another, smaller flea market, and faced bitter disappointment once again. While I was trying to get a shot of the Ramps sign, I lagged behind a bit, and let another woman get to the vendor with the vintage tablecloths mere moments before me. 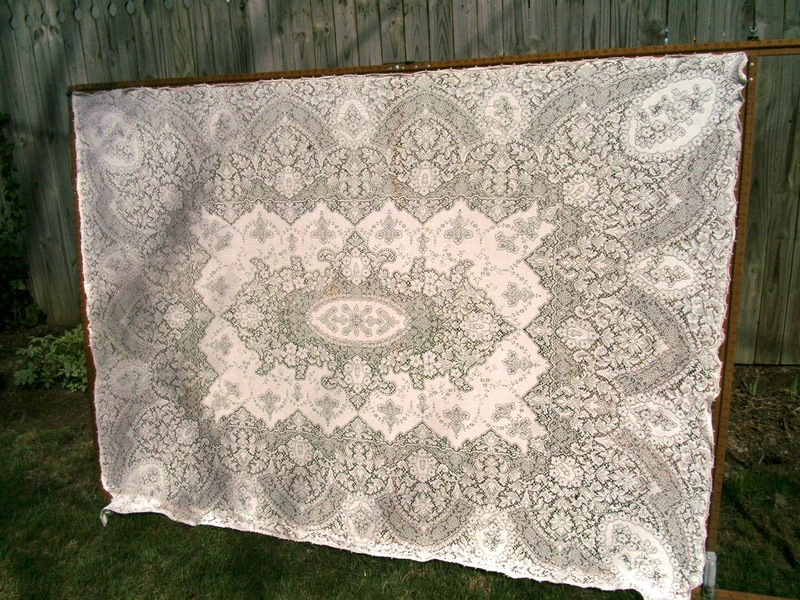 You know where this is going: She picked up a mint-condition gorgeous Wilendur tablecloth, held it to her breast, and paid for it before I could even get my hand on it. She paid Three Whole Dollars for that baby. I was THIS CLOSE. 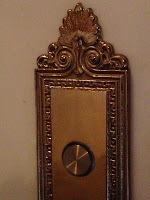 I was able to stop at one more flea market on my drive home Sunday, and picked up some vintage boxed greeting cards for 50 cents, and a stack of linen napkins for a dollar, but neither of those buys are keeping me from replaying the loss of that tablecloth and that pile of 75 Victorian decorated hardware hooks over and over in my head. 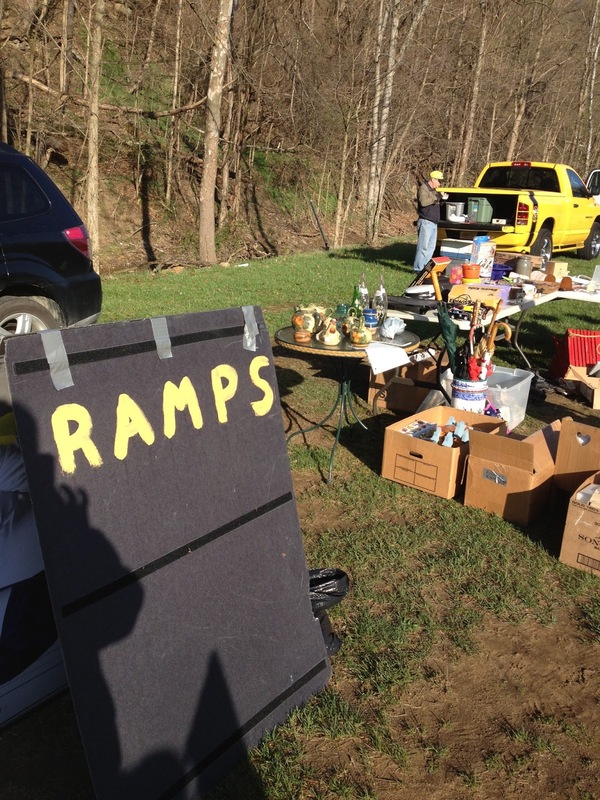 The "Ramps 'R Up," but my Junkin' Luck was definitely Down! We are so very casual these days, aren't we? A quick fast food dinner, right out of the paper bag, eaten in a hurry while we watch the news. Self service lunch--grab something out of the fridge and eat it standing up at the kitchen counter. Breakfast? Pick that up at the drive through on the way to work. If we have nice dishes, they are artfully displayed in the china cupboard. 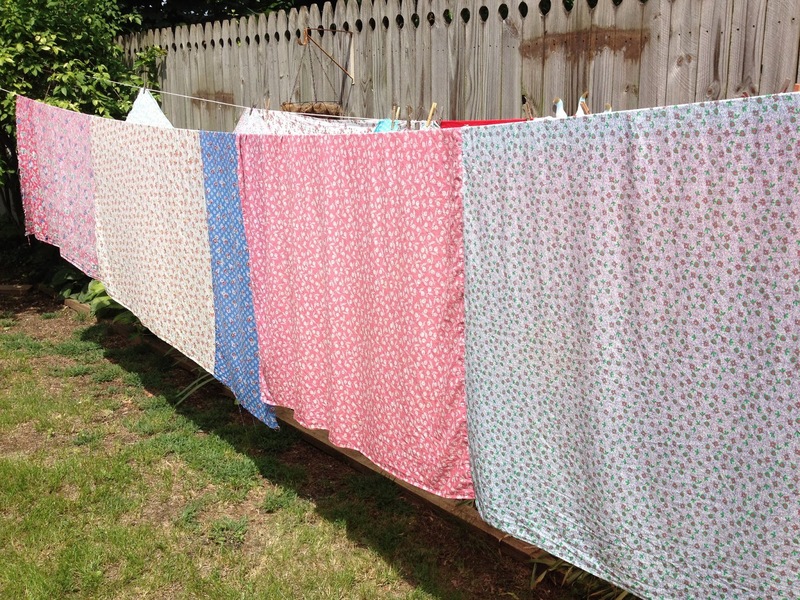 If we inherited lovely linens from our grandmother, they are folded in a drawer or a closet. We don't use them. Every time I go to an auction or estate sale, I find gorgeous china at astonishingly low prices. I even picked up a set--service for 8, perfect condition--at an auction for $12. I had a terrible time selling them. No one wanted them, despite the fact that it would have been cheaper to buy this lovely china than it is to buy generic dishes made in Asia at the local Big Box discount store. 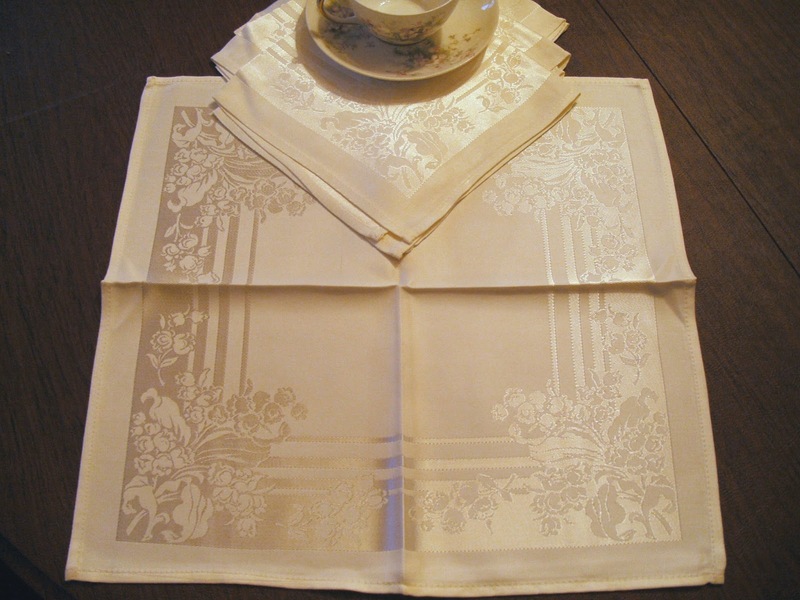 I picked up a huge box of fine table linens at the flea market--damask tablecloths and matching napkins, all in very good condition, and ended up paying less than a $1 a piece for each item. We don't want them. So I ask, rhetorically and otherwise, why not? Why don't we use them? Why don't we want them? The answer is usually something like, "They're too nice to use!" "It's too much trouble!" Well, I'm here to say, "Use them! That's what they're for!" Who deserves to use and enjoy fine things more than we do? 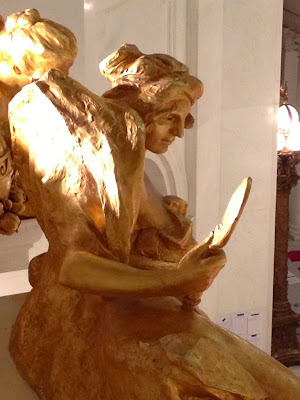 What is accomplished by having them sit, gathering dust and tarnish, in a closet or drawer? If you're preserving them for your children, they won't want them if they have no memories of having used them. If they get stained, what has been lost? At least you will have enjoyed them and the nice table you set. 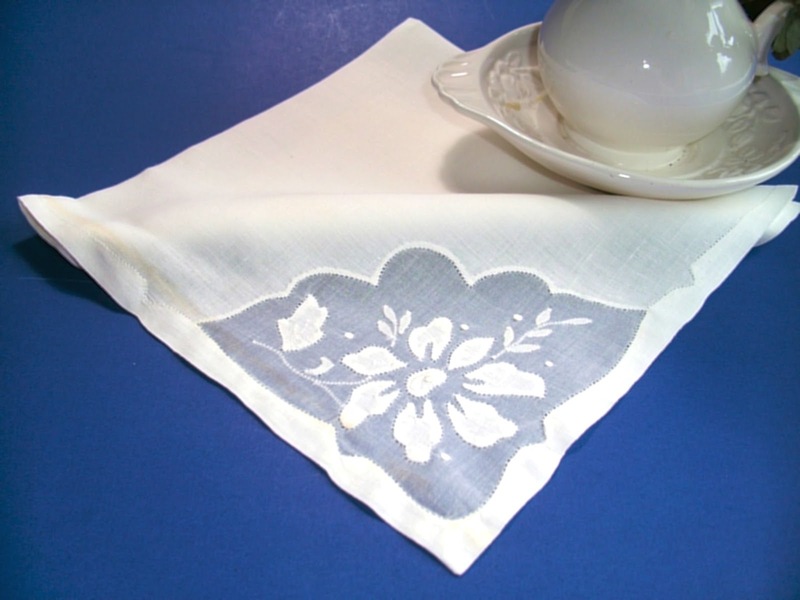 At the very least, try some lovely cloth napkins at dinner! They're more environmentally friendly than paper napkins, so you can congratulate yourself on going "green." If your family is really grubby, consider a piece of tempered glass cut the size of your tabletop. 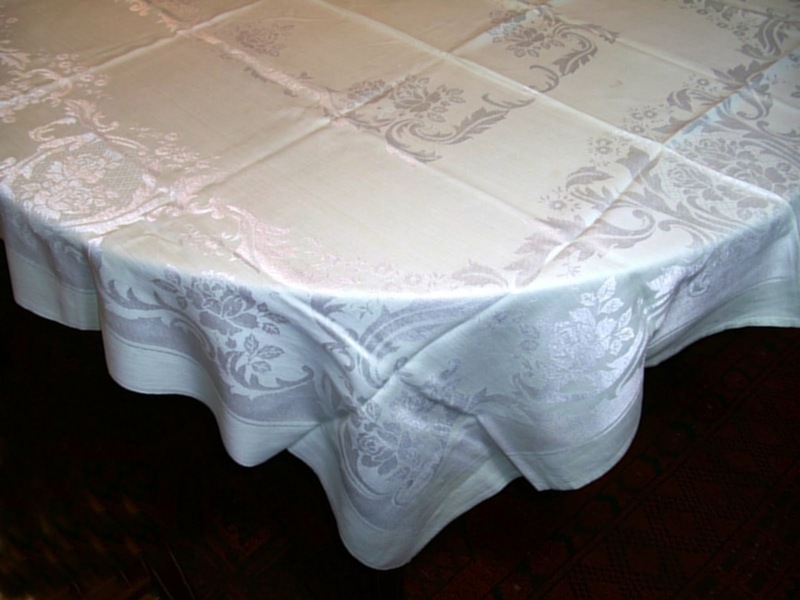 Doesn't cost much, and then you can use that lovely tablecloth and keep it protected. 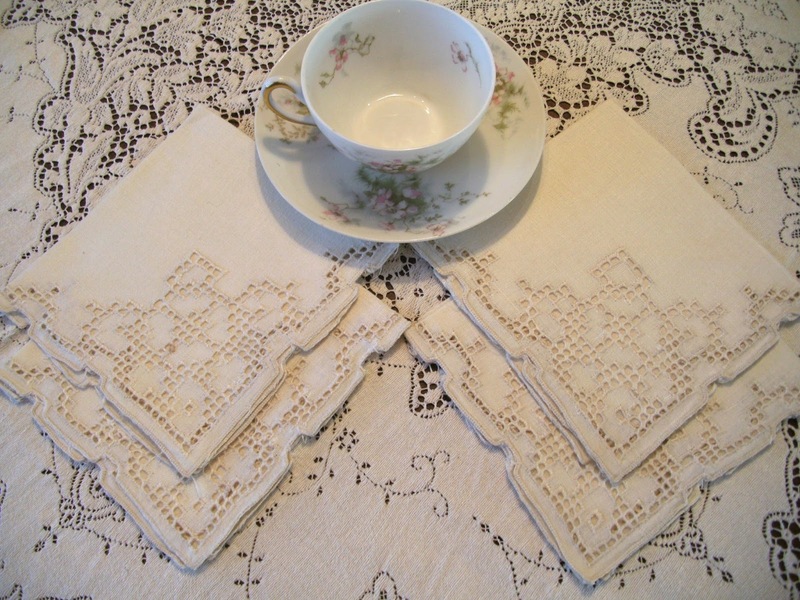 Buy some coordinating cheap placemats and use them on top the tablecloth to help guard against stains. 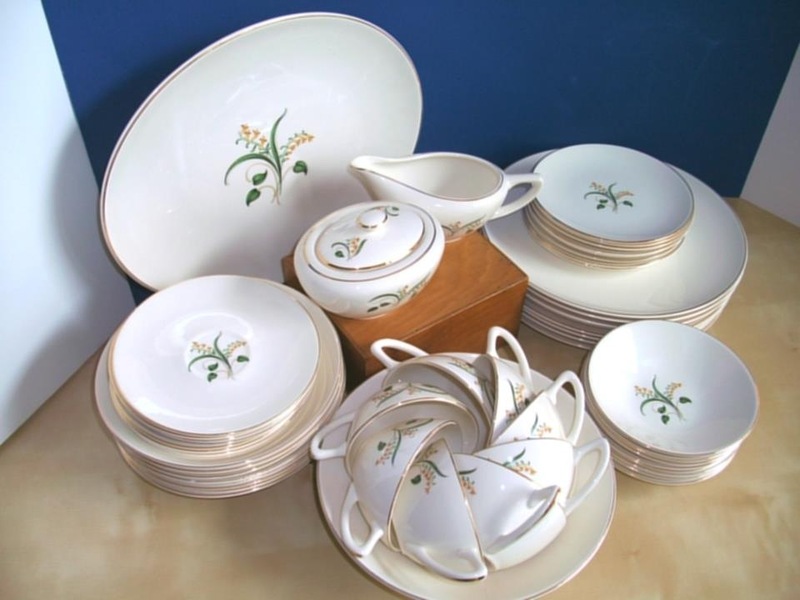 If a plate gets chipped or broken, it can probably be replaced fairly affordably using one of the on line replacement services, or by checking on Ebay or Etsy. We know that families who sit down together to a meal regularly reap many benefits. Why not sit down to a nicely set table while you're at it? Of course, no one is suggesting we return to the days when Emily Post directed which uniform the Butler should be wearing for your luncheon, or how many forks are proper for an afternoon tea (http://www.bartleby.com/95/), but for heaven's sake! It's NOT too nice to use! Indulge yourself!